Turn the oven on the 400. Clean the chicken breast of any fat. Then place one chicken breast inside the roulpat and fold the roulpat over the chicken breast. With the rolling pin, pound the chicken breast to flatten it a bit. Remove the chicken breast and repeat this process with the other ones. Place the chicken breast on the chopping block and slice the chicken in its width in small strips of 1/3 of an inch. Place those strips in the metal bowl and add the salt and pepper. Mix well to coat the chicken. Add the egg and mix well again to make sure that all chicken strips are well coated with the egg mixture. 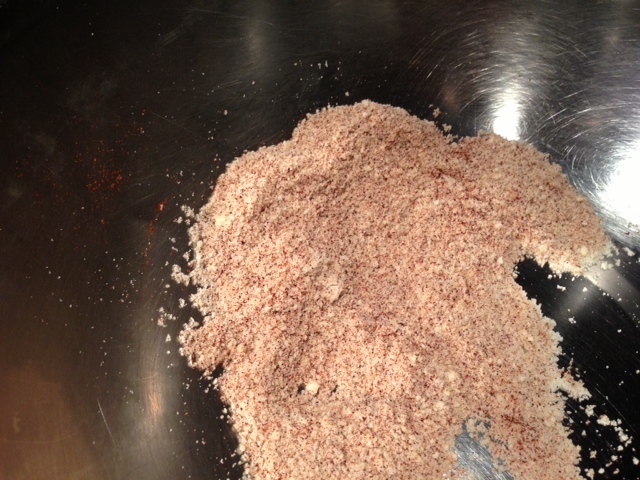 In another bowl, mix the parmesan and the Mexican Chili Powder and mix well. 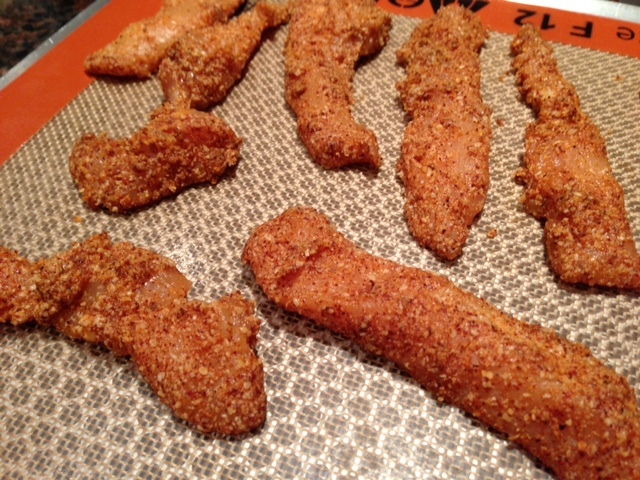 With your fingers, transfer the chicken strips in the bread mixture and mix so that the chicken fingers will be coated with the mixture. 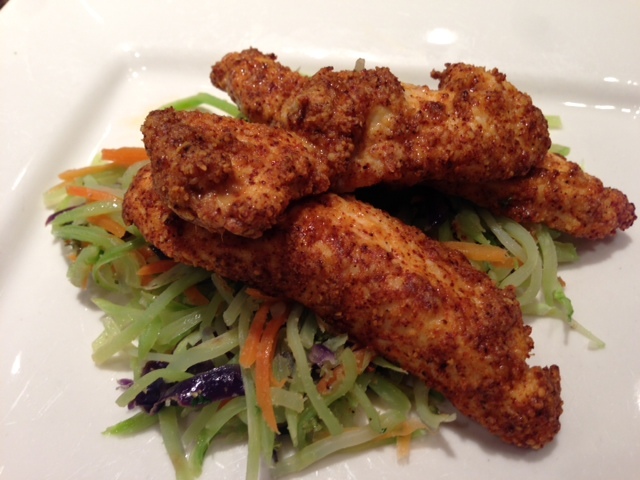 Take a large silpat or 2 medium silpat ( previously laid on perforated sheet) and lay the chicken breasts on the it. Place the perforated sheet in the oven and cook for 6-8 minutes.